The Wilson Hyperspeed club set includes a Hyper Speed High Launch 10.5° driver, fairway wood, #4 hybrid with steel shaft, 5 thru PW irons, 3 head covers and carry bag. A perfect set for those new to the game of golf. Review by Dakota, 1 year ago. 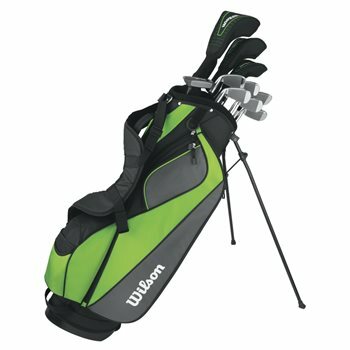 What is the shaft material on the irons? The driver, wood, and hybrid are graphite. The irons are steel. Is there a putter or will you add one for no charge?